Saffron Walden classes give gymnasts the opportunity to experience General Gymnastics. General Gymnastics is a British Gymnastics discipline that encourages gymnasts to learn a variety of low level skills from other British Gymnastics disciplines such as Artistic Gymnastics, Acrobatic Gymnastics, Trampoline Gymnastics and Rhythmic Gymnastics. 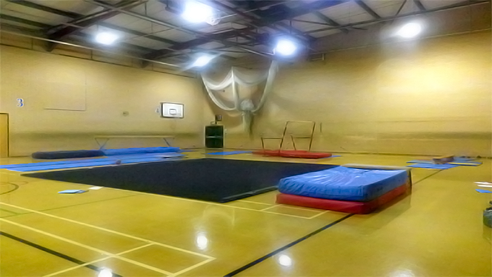 At Saffron Walden we have access to a floor area, a box, a trampette, a beam, benches and trampolines. During the classes, gymnasts progress towards achieving badges 8 – 1 of the British Gymnastics Proficiency Award Scheme followed by the Dynamics Gymnastics Award Scheme. The classes are at the Lord Butler Fitness and Leisure Centre.